The AIDS Funding Collaborative (AFC) was preceded by the Cleveland Community AIDS Partnership (CCAP) – one of the original 8 U.S. philanthropic partnerships of the National AIDS Fund. 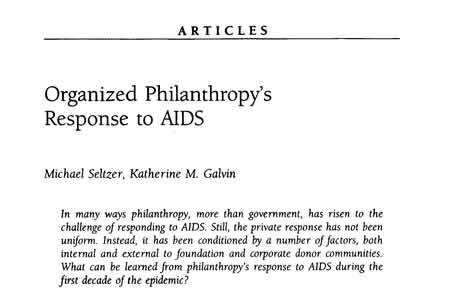 The Community Partnership model was established to support local philanthropic responses to HIV/AIDS and the lack of public resources. There were over 30 like partnerships established nationally over the next two decades. Community Partnerships serve as conveners, technical assistance providers, community builders, and advocates for sound health policy. 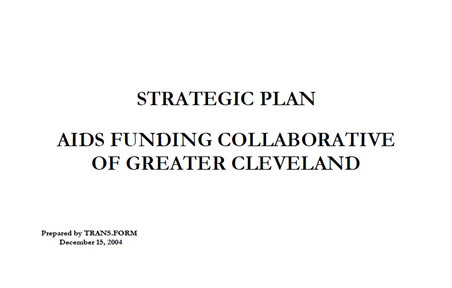 In response to a recommendation of the Citizen’s Committee to develop a “method of allocating and distributing” local funding, the AIDS Funding Collaborative (AFC) was founded by Cuyahoga County, the Cleveland Foundation, United Way of Greater Cleveland and The George Gund Foundation. The Mt. Sinai Health Care Foundation and Saint Luke’s Foundation join the founding funders at the AIDS Funding Collaborative (AFC) table, while the George Gund Foundation and City of Cleveland align their grantmaking with the AFC. For its first ten years, the AFC was housed at United Way of Greater Cleveland and carried out its work with generous in-kind staff support from United Way and the Cleveland Foundation, through the volunteer efforts of its members, and using staff consultants. Funding priorities include prevention education, infrastructure and needle exchange. 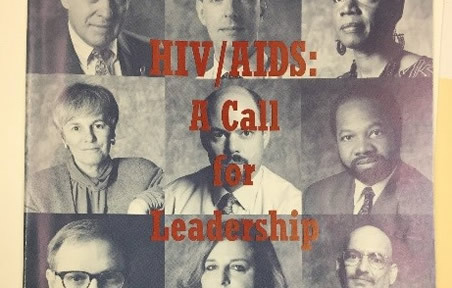 The AIDS Funding Collaborative (AFC) began a strategic planning process to address questions about its future direction, structure, governance, management, and grantmaking. That process resulted in a decision to expand the AFC's role to include not only grantmaking, but also advocacy and community leadership activities. 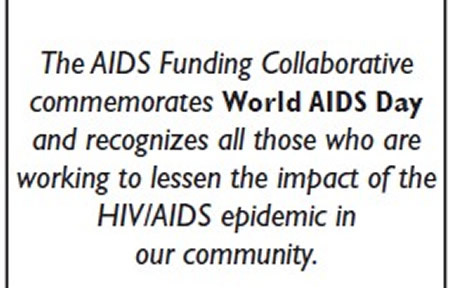 In order to carry out the new level of programming set forth in its strategic plan, the AIDS Funding Collaborative (AFC) formed a new partnership with The Center for Community Solutions, aimed at raising the visibility of HIV/AIDS in Greater Cleveland and attracting new forms of support to the cause of prevention, intervention, and service. That same year, the AFC hired its first full-time staff. The AFC continues to be located within The Center for Community Solutions, which provides administrative and fiscal support. The AFC leads grassroots outreach in partnership with RTA for World AIDS Day – a tradition that continues to the present. 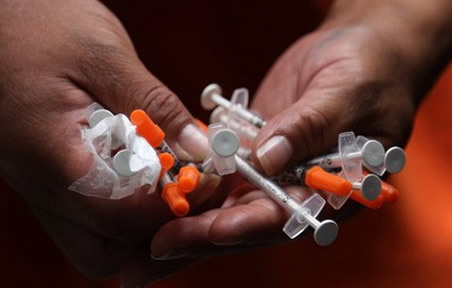 The Alcohol & Drug Addiction Services Board of Cuyahoga County, City of Cleveland and The George Gund Foundation join the AIDS Funding Collaborative between 2006 and 2007 – growing the partnership to 8 public and private funders. This year the AFC also convenes its first training for local HIV/AIDS professionals – on designing effective interventions for Transgender Populations. The AIDS Funding Collaborative partners release Strategic Commitments to reaffirm the AFC’s commitment to lessening the impact of HIV in Greater Cleveland through a focus on Community Impact, Advocacy and Integration of HIV Services. The AIDS Funding Collaborative (AFC) expands its programming to become the 8th national operating site for the AIDS United AmeriCorps program. The largest and longest running HIV/AIDS specific service program in the country, the AIDS United AmeriCorps program developed health leaders through direct HIV/AIDS service placements with community-based partner agencies. 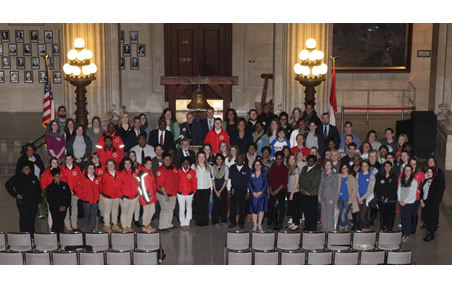 The AFC operated the AmeriCorps program in Cleveland until it’s conclusion in 2016. 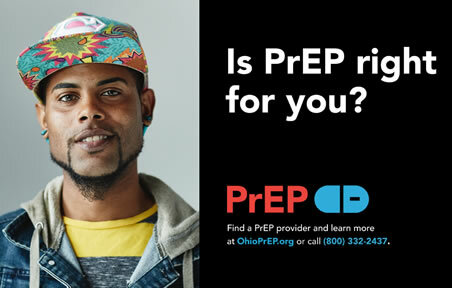 The AIDS Funding Collaborative, in partnership with the Elton John AIDS Foundation and Equitas Health, brings the OhioPrEP.org awareness campaign to Cuyahoga County. The creative includes local PrEP advocates as models – including a Ryan White case manager, a PrEP peer outreach staff and members of the LGBT community.